This Website only collects your Personal Information, where it is required, to provide you the best services and products available. By maintaining an accurate customer database, we are able to send notifications via e-mail to keep you informed about the status of your orders or accounts and to provide updates and technical notices. These messages are essential to the maintenance of your subscription and the functionality of our products and services. The driver scanning, matching and updating technology present in our software is designed to collect Hardware IDs and software signatures present in the system and routes this data back to our driver servers. We use this information so that our driver servers can respond back to our software with a list of recommended driver updates and other software relevant to the discovered hardware. While in trial-mode (pre-purchase, unregistered), this information is not tied in any way to any personal information. Post-purchase (registered) and after activation of the software the information is linked to your personal information. This information is also used to handle any technical, product, or customer support requests that you may send to us. Please be aware that if you prefer not to provide this inventory information, our software will be unable to provide any of our services. Registration means that the Visitor, Member or Customer takes active, positive steps to communicate information to this website. This can include pages where you register for Customer Support; it can include requesting information from the website via email, mail, or courier; it may be from joining an affiliate program or other membership organization, paid or unpaid; it may be from ordering a product. DeskToolsSoft at the DeskToolsSoft/DriverFinder Customer Support Portal. DriverFinder at the DriverFinder Contact Us form. This Website DOES NOT store credit card information. We work with a select number of 3rd party payment processors who serve as a trusted intermediary to handle e-commerce transactions with our Customers. Our e-commerce partners handle e-commerce on secure servers which encrypt all of our Customers' personal information. 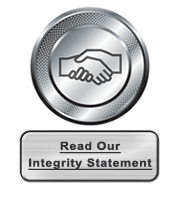 To learn more about how our e-commerce partners manage the privacy of information in conjunction with these e-commerce transactions, please see their complete Privacy Statements located on their purchase pages. This Website has security measures in place, such as the following, to protect against the loss, misuse and alteration of your Personal Information in our customer database. Personal Information provided is stored in secure facilities with access restricted to authorized personnel only. We also have in place a series of access-control procedures required for retrieval of personal information. Further, this Website is regularly tested for security breaches to protect against unauthorized viewing of Personal Information. Although we make substantial efforts to store any Personal Information we collect in a secure operating environment that is not accessible to unauthorized users, no one - including this Website - can guarantee complete security. If you send a friend an email about this Site or if you send our url or that of one of our web pages to a friend, you must assume that some data is collected about your IP address or your email address and that of your friend. You must accept full responsibility for referring pages or email to a friend and agree to indemnify this site for any damage, intentional or unintentional, that results from said referrals. Unless otherwise specified in the survey, you must assume that any information provided to the website as part of a survey in which you participate may be used for general solicitation for commercial purposes or used by the site itself for product design or solicitation purposes. DriverFinder provides a number of ways for you to OPT OUT of receiving additional information from us. Note that this option does not apply to communication sent for the purposes of administering orders, contracts, support, product safety warnings, software updates, or other administrative and transactional notices. If you do not wish to continue receiving additional information or certain marketing materials (e.g., e-mail messages), you can opt-out of receiving these materials by following the unsubscribe instructions provided in the materials. In addition, you can correct out-of-date information, update information, remove information, delete your Personal Information or review any information previously provided to us by accessing your account at our Customer Support portal or by contacting our Customer Support department at support[at]driverfinderpro[dot]com. Changes will be implemented within 10 business days. Please note, however, that we may retain certain information relating to software licensing and your information may also be retained in our archives. When contacting Customer Support, we may verify your identification through the use of security questions before sharing any Personal Information as it appears in our customer database. Visitors, Members, or Customers who use any site provided bulletin boards or other public forums, such as chat rooms, do so at their own risk. You may not assume that the site monitors these services or protects you in any manner from information you post publicly or share with anyone else via these services. You may direct questions, comments or reports to: info [at] driverfinderpro [dot] com. As part of the consideration that the Website requires of the Visitor to view, use, or interact with this site, Visitor agrees to use binding arbitration for any claim, dispute, or controversy ("CLAIM") of any kind (whether in contract, tort or otherwise) arising out of or relating to this purchase, this product, including solicitation issues, privacy issues, and Terms of Service issues. If any matter concerning this purchase shall be brought before a court of law, pre- or post-arbitration, Visitor agrees to that the sole and proper jurisdiction to be the state and city declared in the contact information of the web owner unless otherwise here specified. 548 Market St., San Francisco, CA 94104. In the event that litigation is in a federal court, the proper court shall be the closest federal court to the Seller's address.